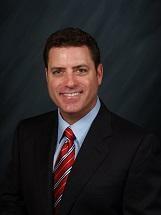 Joel B. Blumberg, P.A. has been handling debt collection for Florida, national, and international clients for over twenty years. We provide aggressive and diligent debt collection services that include the review and drafting of contracts and agreements, commercial litigation, pre-judgment remedies, and post judgment collections. Our Florida debt collection attorney is committed to the recovery of our client’s delinquent debts and open accounts. If you are a creditor or business that is attempting to collect a commercial or consumer claim, the Law Office of Joel B. Blumberg, P.A. can assist you. Our firm is organized and focused to assist you in collecting your overdue receivables and claims. Our attorneys and support staff have the necessary expertise to assist business creditors with all aspects of the collection process. If you have not yet entered into a contract or business relationship with another party, we can assist you in drafting and reviewing any contracts or agreements. If you are looking to hire sales personnel in Florida or anywhere in the United States, we can assist you in drafting and reviewing employment agreements, independent contractor agreements, non-compete agreements and other similar agreements. If you are owed money, our firm has the expertise to efficiently and aggressively pursue commercial debtors and consumer debtors. Our firm tailors its approach to maximize the recovery of commercial receivables and consumer debts. Our practice covers the State of Florida, including Jacksonville, Tampa, Orlando, Miami, Fort Lauderdale, Daytona Beach, Sarasota, Pensacola, and West Palm Beach. The firm is also able to advise and assist international creditors with their collections throughout the United States. In the event that you have a judgment against a Florida debtor, our firm can assist you in all aspects of post-judgment collections, including attachments, replevins, garnishments and foreclosure of security interests. If you are owed money, we can help. The firm’s clientele includes individuals, small business and multi-national corporations. Each matter is given individual attention. We have successfully recovered millions of dollars on behalf of product manufacturers, wholesalers, specialty equipment manufacturers, chemical and pharmaceutical companies and service providers.